Sunsail is offering a seven-day sailing holiday in Vava’u, the ‘Friendly Islands’ of Tonga. You can expect village feasts, close encounters with humpback whales and warm tropical waters; ideal for swimming, snorkeling and diving. 1. 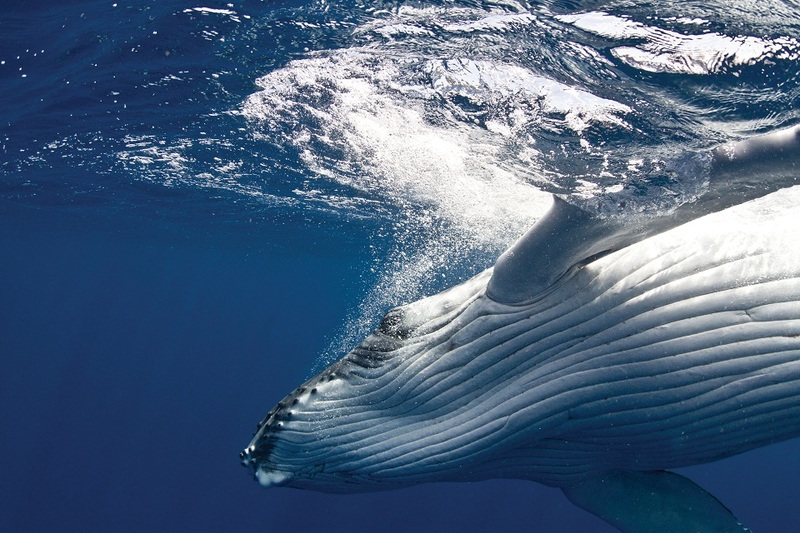 Vava’u is home to the largest population of humpback whales. Visit between July and October when the adult females arrive in tropical waters from the icy Antarctic to give birth to their young. 2. Maninita is a haven for seabirds. Whilst small white terns perform courtship rituals above your boat, there’s just as much action below the water. Venture into the cathedral-like Swallows Cave in the afternoon when the sunlight streams in, illuminating marine life; multi-coloured stalactites and 200 year-old Tongan engravings on the walls. 3. Local villagers welcome sailors to Taunga with a feast of tropical fruit, fresh seafood and Tongan delights cooked underground in an umu pit and wrapped in banana leaves. After dinner, you can join in a live traditional song and dance or take a stroll among the coconut groves. Keep an eye out for indigenous Flying Foxes hanging from the fruit trees. 4. To the Southwest lies Hunga Island, hone to a huge lagoon formed by the crater of an extinct volcano. The 525-acre island is a dense jungle of coconut trees, with plenty of hiking paths to cliffs and lookouts. The lagoon is a completely protected coral reef haven for whales and visitors. Take a 25 minute walk to Hunga Village to visit the friendly locals and try your hand at fishing, before retiring to your yacht to feast on the catch of the day. 5. A short hop from Hunga Island is Vaka’eitu. Visit Blue Lagoon Resort, an eco-sanctuary with eight large fales, each constructed from local materials. After a day spent snorkeling with whales, sea stars, and tropical fish, dine ashore in the restaurant which offers vistas of the lagoon and surrounding reef. Enjoy the specialty lobster and glimpses of whales frolicking in the clear waters. Prices start from $4,830 for a seven night holiday on a four-cabin luxury Sunsail catamaran yacht sleeping up to ten people in Tonga. Never sailed before? No problem; add a skipper for $231 per day.